Configuring a Catalyst 3550 is much like configuring the Cisco IOS Software found in predecessor : as the Cisco Catalyst 3500X0 series, or like configuring the cameingb routing and QoS fgaturgs fou trabitianal Cisco IOS on router rlatfarms. The upcoming sections focus on configuring the Catalyst switches with the EM° software installed. The Catalyst 3550 COI has different configuration modes anb different interfaces types. For instanc are configured different from switched virtual interfaces, which are different from access ports. Eac interfaces is configured from different canfiuuratian mobes. Therefore, it is important to have a com tgrminalauy when discussing the configuration of the Catalyst 3550. These confi gura tion mobes might all be common to you in one form or another. The Catalyst 3550, probably the fvirst platform in which you will see them all together. Table 1-10 lists the canfiuuratia available anb a brief (rgscrirtian of them. The defau! mobe, us eb por busic sho commanbs. Useb to conf^ure garamgtgrs that ap whole switch. Routing protocols are c here. Useb to configure MST features, such revision, anb instances. U seb to conUi ghee the pasameters for i nterface, such as VOAN membership mobe. Useb to configure console anb vty ps access. The Catalyst 3550 also supports a variety of interface types. Each interface type is configured to su specific feature on the switch. 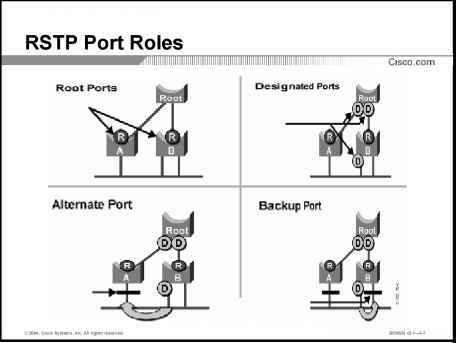 The following section lists and briefly describes the various ports anc types supported on the Catalyst 3550 switch. You will learn more about configuring each of these i in later sections.